In both cases, stringOne equals "A long integer: 123456789". Like the + operator, these operators are handy for assembling longer strings from a combination of data objects. 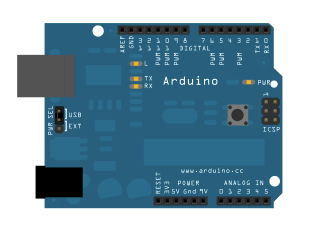 There is no circuit for this example, though your board must be connected to your computer via USB and the serial monitor window of the Arduino Software (IDE) should be open. Serial.println(stringOne); // prints "Sensor "
Serial.println(stringOne); // prints "Sensor value"
Serial.println(stringOne); // prints "Sensor value for input"
Serial.println(stringOne); // prints "Sensor value for input A"
Serial.println(stringOne); // prints "Sensor value for input A0"
Serial.println(stringOne); // prints "A long integer: 123456789"
CharacterAnalysis - We use the operators that allow us to recognise the type of character we are dealing with. StringAdditionOperator - Add strings together in a variety of ways. StringCaseChanges - Change the case of a string. StringCharacters - Get/set the value of a specific character in a string. StringComparisonOperators - Get/set the value of a specific character in a string. StringConstructors - Initialize string objects. StringIndexOf - Look for the first/last instance of a character in a string. StringLength - Get the length of a string. StringLengthTrim - Get and trim the length of a string. StringReplace - Replace individual characters in a string. StringStartsWithEndsWith - Check which characters/substrings a given string starts or ends with. StringSubstring - Look for "phrases" within a given string. StringToInt - Allows you to convert a String to an integer number.